When you think of high capacity cruisers, the bike which come to mind is the Indian chief. 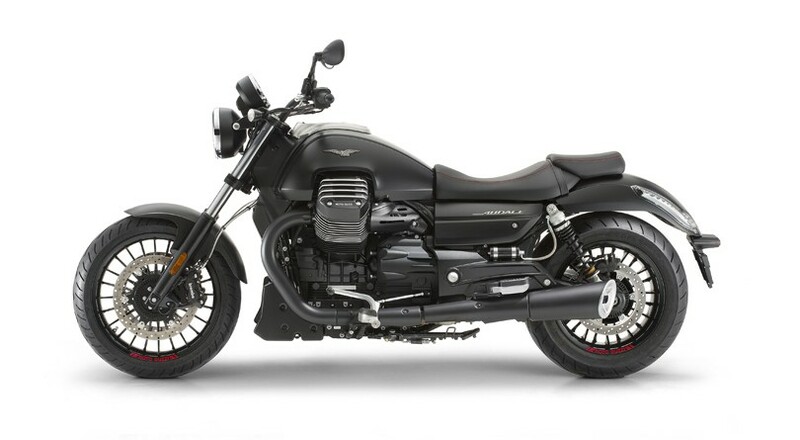 But here is a rival for the Indian chief and this time it is coming from the oldest Italian motorcycle manufacturer, Moto Guzzi. The Italian motorcycle manufacturer has been brought to India by Piaggio and has a wide range of motorcycles on offer for the Indian roads. Piaggio currently has 4 Motoplex showrooms across India and you can find the Moto Guzzi vehicles on offer in these stores. 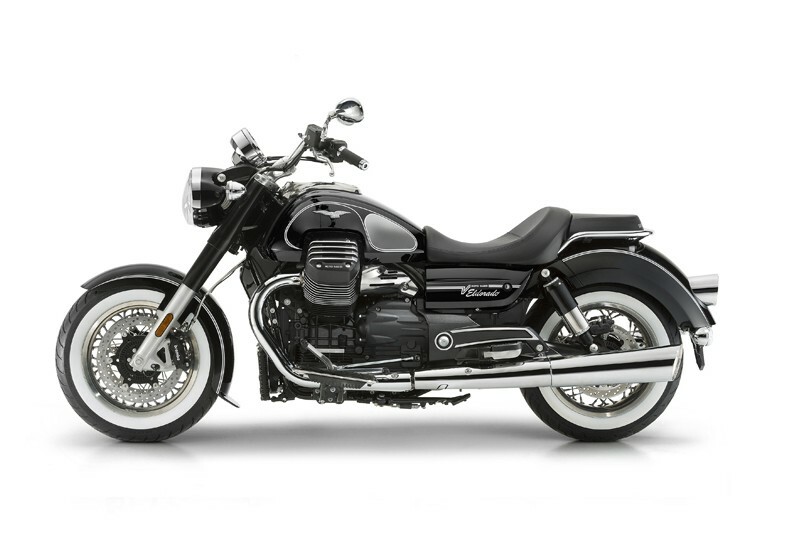 Moto Guzzi is known for its retro styled bikes and they have 5 bikes on offer in India. The Eldarado is powered by a 1380 cc longitudinal V-Twin engine which gives out 96 HP of power at 6000 RPM and 120 NM of torque at 2750 RPM. Its got a distinctive cruiser look to it which has the classic white walled tyres. The Eldarado has got a classic chrome plated exhaust which gives it a shine on roads. Similar to the Eldarado, the Audace is powered by the same motor which gives out the same amount of power. The difference on these bikes come from the design and the styling of these bikes. The Eldarado gives you a very retro and a classic feel to it while the Audace is more of a modern day cruiser with matt black color on offer. 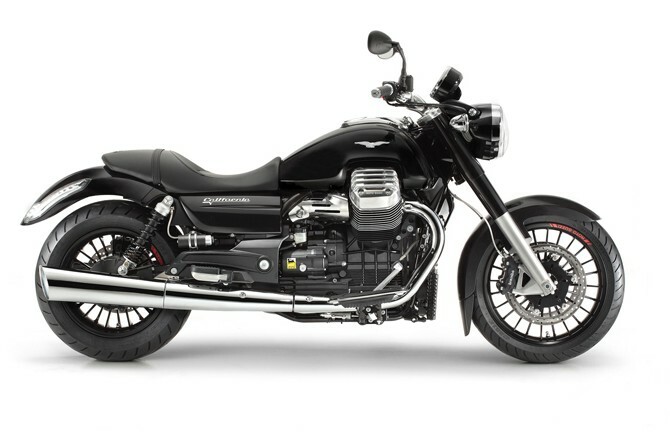 The California touring SE is a bike that Moto Guzzi offers you to tour with at most comfort. 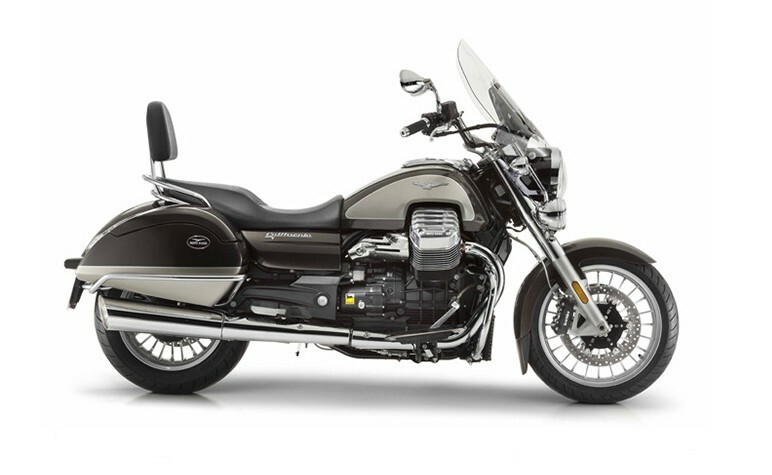 The specifications is the same as the Eldarado and the Audace but the touring purpose seems to have made Moto Guzzi add on the front windshield and the mighty 35 liter panniers in the rear. It has LED day time running lights and a passenger backrest for comfortable pillion riders. You wouldn’t miss to notice the chrome plated front telescopic forks and the nicely pulled out chrome exhaust. The moment you look at the California custom you know its a day to day cruiser with black spoke wheels which gives it a definitive look. The custom comes with 320 mm front disc with 4 opposed pistons and a 282 mm rear disc with 2 parallel pistons and ABS as standard. The brakes on the custom will save you a lot of trouble on the city roads with day to day traffic. The Eldarado, Audace, California Touring SE and the California custom share the same 1300 cc V-Twin engine and give out the same amount of power. Something which differs these bikes is the styling and the purpose these are used for. The choice will be entirely yours. The Griso 8v features very bold and stylish design. It comes with a 1,151 cc engine with 108 HP pf power and 110 NM of torque. The Griso is a different bike compared to the other Moto Guzzi bikes. 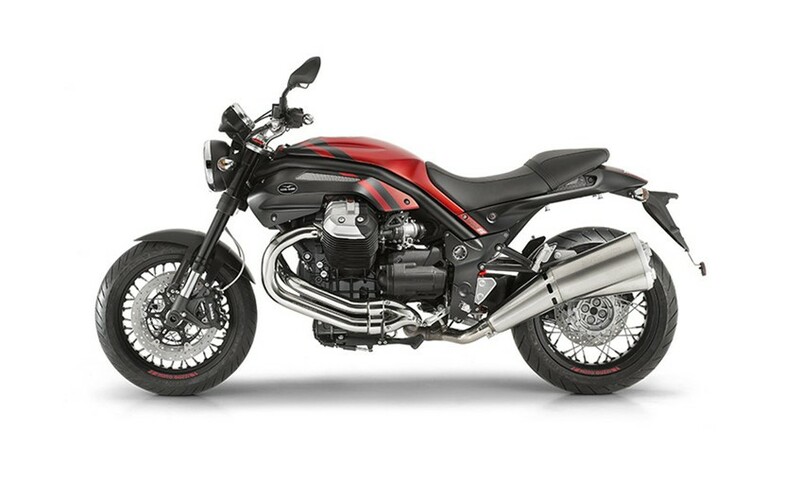 The Griso has a very sporty look to it and is more of a street fighter which makes it different from other Moto Guzzi bikes. Piaggio has opened just 4 Motoplex stores in india in 4 different cities Pune, Chennai, Hyderabad and kochi where the Moto Guzzi bikes are offered. If you would wanna get your Moto Guzzi bike then you would have to visit these 4 Motoplex showrooms for now. We hope Piaggio opens many more stores across India for us to easily be able to access and buy bikes of our own. You can add to this story by commenting below!